This package is a great one for all you fans of post-black metal/blackgaze! 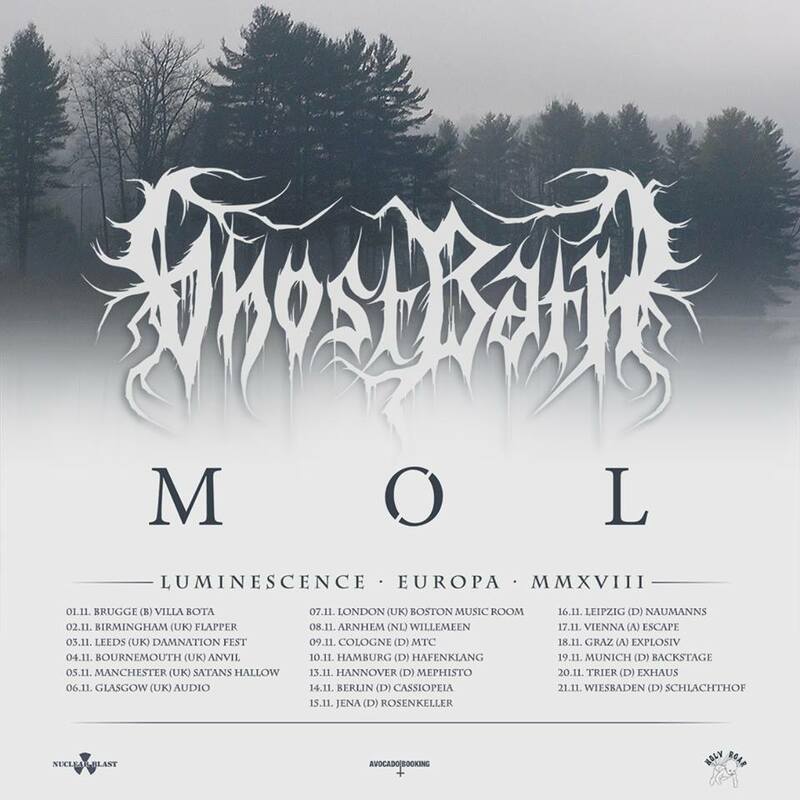 As Ghost Bath are just about to start their US tour with Wolf King and headliner Abigail Williams (you can see all the dates and get your tickets here), they announced that this fall, they are taking MØL out with them on their ‘Luminescence’ European headline run! To be honest, one has to like Ghost Bath and their music to really get them. For me, Moonlover was a great record, while the following Starmourner was quite the letdown. It fully depends on the listener’s mood and musical proclivities whether or not they enjoy Ghost Bath‘s records and live shows; either you see them as totally hipsterish pseudo-black metal, or you simply like their music. I had an awkward experience watching them live on tour with Heretoir and King Apathy in 2017, but it definitely left a lasting impression. MØL on the other hand instantly convinced me with their new record Jord. Once again it’s proof of the great work Holy Roar Records do, but also of the Danish Prime Collective‘s ability to foster upcoming talent. Jord delivers a very Deafheaven-ish mixture of blackgaze and post-rock elements. Take a listen to songs like “Storm” or “Lambda” and drown in the dark, but beautiful side of MØL‘s music! The two bands definitely match well, which will make this evening a great experience for fans of atmospheric, modern post-black metal! Previous PostThrice Get Personal with New Track, "Only Us"